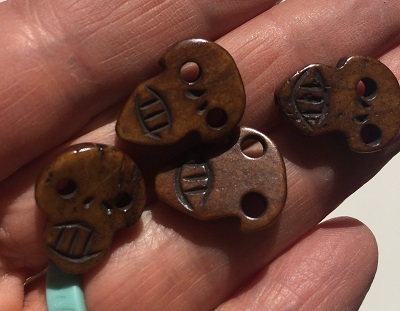 Brown wooden smaller sized skull beads. 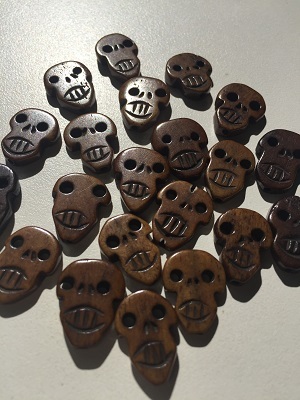 Every skull bead has an unique personality. 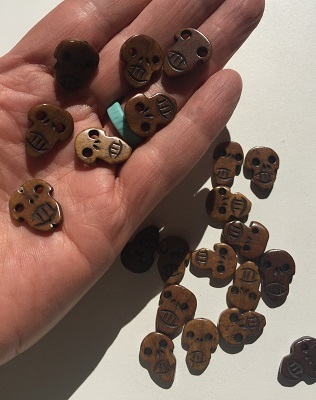 Enjoy these skull beads just as they are or incorporate them into a necklace, or as part of a medicine bag, smaller crystal grid, crystal intention garden, or in an orgone generator.